There are many reasons why ship owners choose to have more than one loadlines on their ships. However there are number of things Masters and ship staff need to be aware of while sailing on ships with more than one load lines. Masters and ships staff are encouraged to check these points to be very sure that their ship is not detained by port state controls or issued Condition of class during annual load line survey. It is a requirement by all the flag states, vetting companies and the classification societies to display only one loadline certificate that is in use. The other one MUST be kept in sealed envelop in master’s locker or other safe custody. This situation can arise because of any of these two facts. The loadline marks on the ship side were not changed during last documented change of loadline and just the load line certificates were replaced. OR The loadline marks on ship side were changed but the master forgot to replace the loadline certificate. Whatever the reason, the deficiency has the potential of having the ship detained by the port state control. This might look silly but there have been detentions by many port state controls due to this deficiency. The most common reason for this deficiency is not because only one side of loadline marks were painted but because on one side the old marks were removed and then mistakenly same were painted again. All flag states & classification societies require that whenever the loadlines are changed, Masters must make appropriate entry in the official log book. It is very important that all the loadline certificates are stamped for annual surveys. During annual class survey, it is quite possible that other than the loadline certificate in use are not stamped, as these are not in the certificate folder. A small mistake but can be pointed out by Port State control inspectors. In ports where PSC inspector tend to make big issues of smaller things, this issue can give rise to unfavourable situation with PSC inspectors. sir , thank you for the information. could you explain the reasons for ship owners choose to have more than one load line. There could be many reasons. For example at some ports, the port dues are based upon the deadweight. And at some ports, there is restriction on maximum deadweight of the ship. Having more than one ladling give the option to the owners to reduce of increase the deadweight according to their requirement. On Chemical tankers that can also carry oil cargoes would need to have inert gas when deadweight is over 20000. When loading oil cargo on these ships owners would change the loadline to make the deadweight less than 20000 (usually 19999) and this would not require to have Inert gas. Good day sir. Can you explain the process of redeclaring or changing registration from one load line to the other. Thanks. You can find this information by clicking here..
You really do a tremendous job with your articles. Keep up the great work! Dear Rajeev Jassal, i'm very grateful for sharing your materials, which are very helpful when study GAFTA module 4 (Chartering). Thank you a lot. Definately will recommend to subscribe for your articles. Glad that I could be of some help Yuliya..
Is it possible to change loadline under Panama Flag on laden passage to discharge port on arrival disport. Any risk involved in it. If the new and old load lines are not already submerged, it can be changed during laden passage too. 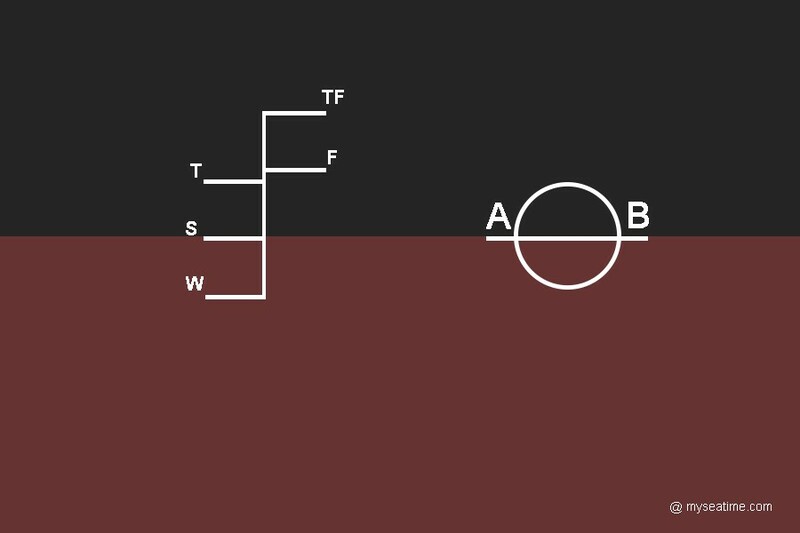 As the present load line marks need to be painted over and new load line marks need to be highlighted on the ship sides, these load lines need to be above water. Thank you sir for the wonderful blog, could you kindly explain the difference between port and starboard side load line markings. Port side load line marking means the load line marking on the port side of the ship. If ship loads its cargo in the tropical seasonal zone and discharges in the summer zone which load line need to use in the loading port? I am amazed reading about sea Captains but I wonder what type of clothes a captain sleep with I would love to know I am curious..
Why are dual load lines required ?